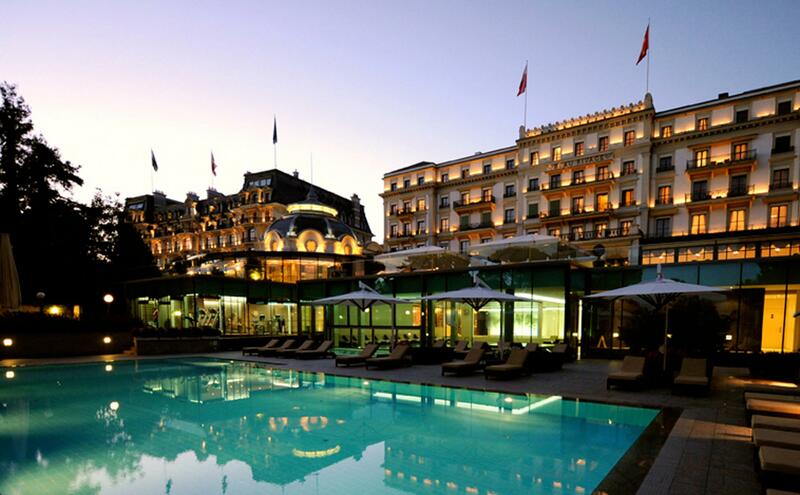 Classed as one of the best hotels in Europe, the Beau-Rivage Palace is blessed with an idyllic location on the shores of Lake Geneva, in Lausanne-Ouchy. This hotel has a longstanding tradition of luxury holidays, but also private meetings and big public conferences. - Internet WiFi is available in all areas and is free of charge. - Parking Private parking is possible on site (reservation is not needed) and costs CHF 40 per day. All children under 11 years stay free of charge for extra beds. All children from 11 to 17 years are charged CHF 65 per person per night for extra beds. All older children or adults are charged CHF 130 per person per night for extra beds.